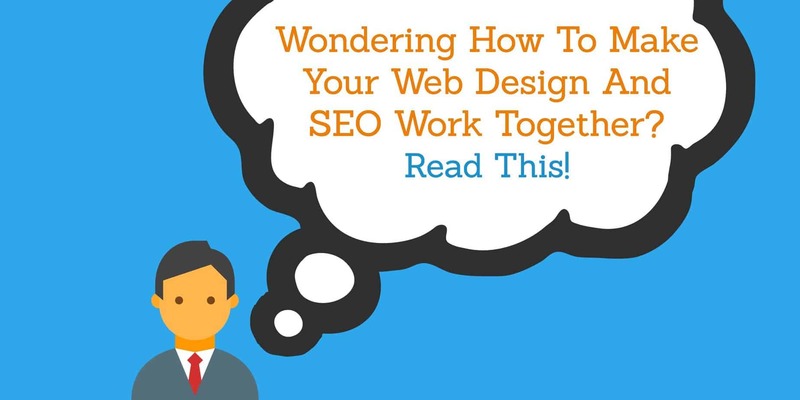 How To Make Your Web Design And SEO Work Together? Read This! These are what all business owners are striving for. No matter how they attempt to drive traffic, build their email list, convert sales, design their website — they should aim to drive as much traffic as possible and convert as much of the traffic as they can. If your activities don’t ultimately lead to one of those results, they are superfluous. For SEO, there is often a sharp debate between which is more important: Your website’s design or its SEO functionality. Many people believe if you focus on design, you sacrifice your SEO and search engine traffic, and if you focus on SEO you sacrifice design, user-friendliness, and conversions. In this article, I want to settle this debate once and for all. You will learn whether design or SEO should come first when building a website to increase your business. You will also learn how much emphasis to place on the mobile version of your site, and where SEO and website design come together. Which Should Come First: Website Design or SEO? The site will convey a ton of authority and trust, because it’s aesthetically pleasing and communicates to a visitor the business put a lot of money, time, and effort into its design. This is important, because a business who cares about how it is displayed to the world probably cares about how it serves its customers. Your site will also (hopefully) be optimized for conversions so when a prospect visits the site they are lead down a natural path through the buying cycle and towards the sale. However, designers tend to neglect SEO when building out a website. The code they create can be extremely complicated and unorganized from a search engine spider’s perspective. This can lead to lower rankings (or no rankings at all) and reduced traffic. What you’re left with is a gorgeous, conversion-optimized site with no one to use it. On the other side of the coin, SEOs tend to ignore website design. When they write code, they write it so it can be easily crawled, indexed, and understood by a search engine spider. This helps you rank for the right keywords, rank higher for those keywords, and bring in targeted prospects who want to buy your products or services. However, since they’ve neglected website design, the website isn’t easy to navigate and it’s not optimized to lead your prospects toward the sale. What you’re left with is a site with tons of visitors, but it’s only converting a small percentage of them (or none at all). What you want to create is an SEO-optimized site that is user-friendly, looks good, and is optimized for conversions. Creating a site like this is a balancing act. You can’t just focus on your site’s design or just focus on its search engine optimization. You need to work with someone who understands the importance of both and builds out both aspects at the same time. As they are designing your website, they’re also considering each SEO implication. As they are making your site easily crawlable, they’re also considering how its design will affect conversions. But, if you had to prioritize one over the other, SEO would come first. A website with complicated design code is tough to slim down and make search engine-friendly without sacrificing everything put into it. You typically have to start from scratch and redesign the site around a search engine-optimized backend. So it’s better to start off with a search engine-optimized website backend, then build a beautiful conversion-optimized site around this code. This ensures, no matter what, you have visitors coming to the website. Then you simply need to make adjustments to its design if they are not converting or if you want to improve conversions. So your first priority should be SEO and traffic. Then focus on design. But ideally, you should work with someone who considers both at the same time, so that neither have to become a priority. Have you heard of Mobilegeddon? If not, Mobilegeddon refers to Google’s mobile-friendly ranking algorithm, which was released on April 21, 2015. All else being equal, it gives higher rankings to websites with a mobile-optimized design. This design makes the site user-friendly on smartphones and other mobile devices. From an SEO perspective, at the very least, you should make sure your website is mobile-optimized in Google’s eyes. You can use this tool to verify it. If you take a look at your analytics, a significant amount of your search engine traffic (and overall traffic) is probably coming from mobile devices. In fact, it has probably been increasing over time, and it should continue to increase for the foreseeable future, as Google said that mobile searches have now surpassed desktop searches. Making your website mobile-friendly will help you maintain and continue to grow your mobile search engine traffic. But it also has a big implication on the design side of things. This shift from laptop and desktop usage to mobile device usage also means a shift towards increased conversions and sales on mobile devices. Or, at least, the intention to make purchases on mobile devices. If your website design is not optimized for mobile, prospects may leave your site and use a competitor’s, whose website is mobile-friendly and easy to use. Thus, you end up losing out on potential sales despite continuing to drive more traffic. So a large emphasis should be placed on your website’s mobile usability. Make sure it passes Google’s mobile-friendliness test, then make sure it is designed in a way that makes it easy to navigate and, most importantly, make purchases. Despite the debate between design and SEO, they help each other out a lot. Good, effective design and UI/UX lead to lower bounce rate and longer dwell time (time on page). Due to Google adding these two factors into their algorithm, this can drastically improve your rankings. It can also help them stay there, because Google will rank you higher if your bounce rate is lower and your dwell time is longer than your competition, even if they have tough off-page SEO (backlinks, etc) for you to compete with. Good, effective design can also lead to increased trust and perceived authority. Combined with authoritative content and/or superior products, this can lead to more natural backlinks and more successful link outreach. It’s always easier to promote a well-designed website with great content and superior products than one without. And if your SEO efforts lead to more targeted traffic the design investment doesn’t go to waste. You end up with a stream of consistent leads visiting your website where they are primed to convert. As a sales funnel should work together, so should your website design and search engine optimization. When it comes to finding someone to help with your website design and SEO, it can be tough to find a company that considers both. Most designers or SEOs are simply not well-versed in both practices, or they feel like one or the other is not important. I suggest that you don’t hire a designer and an SEO separately. Most likely, they won’t want to work together in building out your website. This can lead to conflicts in your code that are detrimental to both endeavors. Hopefully, you realize how important it is to build out your website while considering design and SEO together. Find a designer or an SEO who understands this importance as well and who has the knowledge to make it happen for you. Have you neglected either of these aspects in favor of the other? Let me know your concerns in the comments below and I’ll be happy to help you out.